Tons of people hate their jobs. In America, job satisfaction hovers around 45%. In Europe, 60% of workers say they would choose a different career if they could start all over again. A recent global survey found that only 13% of people are actively excited about going to work in the morning. With this problem in mind, we put together a list of the best investigations into what makes work work by a range of psychologists, philosophers, venture capitalists, and other deep thinkers. We think it will help. David Whyte is a poet turned consultant turned poet-consultant. 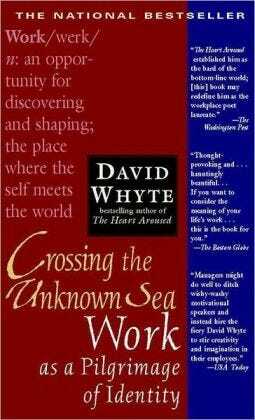 His book 'Crossing the Unknown Sea' is a gorgeously written inquiry into what role our jobs, careers, and overall work should have in our lives. The center of Whyte's argument is that your career is in fact a conversation -- one that you have with yourself and with society. The book is full of sentence-long gems that immediately burrow themselves into your brain. We tend to think that you have to 'take' what you need in order to thrive in the workplace. 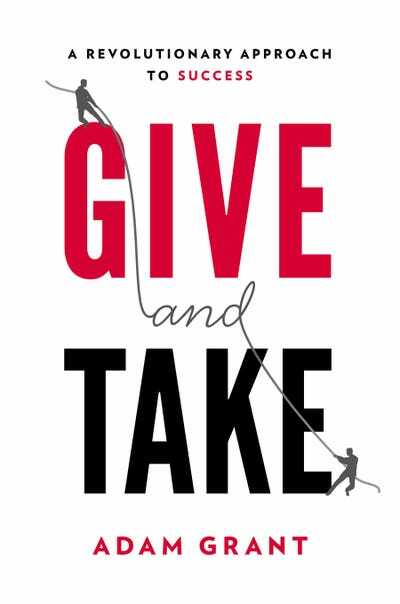 But that Darwinian outlook is totally misguided, if the decades of organizational psych research that Wharton professor Adam Grant synthesizes in 'Give and Take' are to be trusted. It's an intuitive argument: opportunities flow through relationships, and people who genuinely want to benefit others will see the most opportunities over the long run. 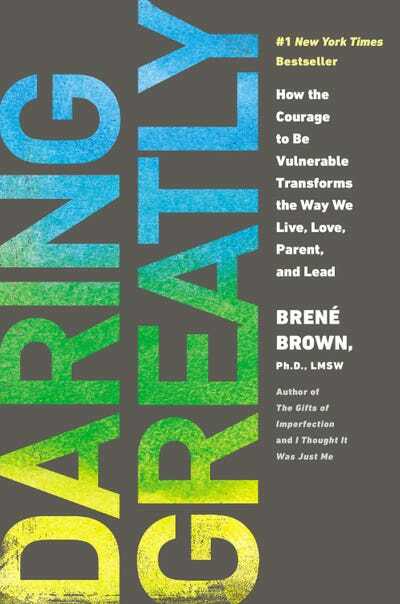 In 'Daring Greatly,' University of Houston sociologist Brené Brown detangles one of the most frowned-upon notions in our culture: vulnerability. And if you're in business, Brown says that you're exposed to vulnerability on an hourly basis. 'Vulnerability is not weakness, and the uncertainty, risk, and emotional exposure we face every day are not optional,' she writes. Randy Komisar joined Kleiner Perkins back in 2005. When the venture capitalist isn't investing in the hot new thing in greentech, he's given to a bit of philosophizing. 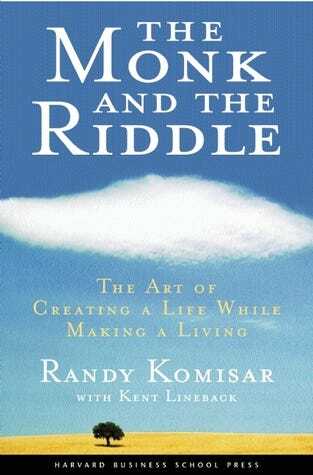 His book 'The Monk And The Riddle' is his treatise on how to develop a meaningful, impactful career. In it he rails against the 'deferred life plan' -- the standard perception to make tons of money in the first twenty years of your career, and then do good in the world and for yourself. Komisar's arguments are as motivating as a fire beneath one's posterior. Clay Christensen is a legend in management thinking -- the Harvard Business School professor coined the word 'disruption' seventeen years ago. 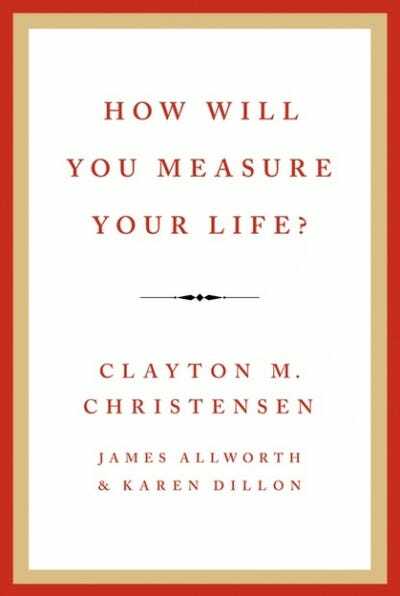 In his newest book, 'How Will You Measure Your Life,' Christensen encourages a rigorously optimistic mindset for career planning. If there's one thing Cal Newport can't stand, it's that 'following your passion' will guide you to a successful career. Instead, Newport asks you to adopt a craftsman's mindset. 'If you want to love what you do, abandon the passion mindset ('what can the world offer me?') and instead adopt the craftsman mindset ('what can I offer the world? '),' Newport writes. 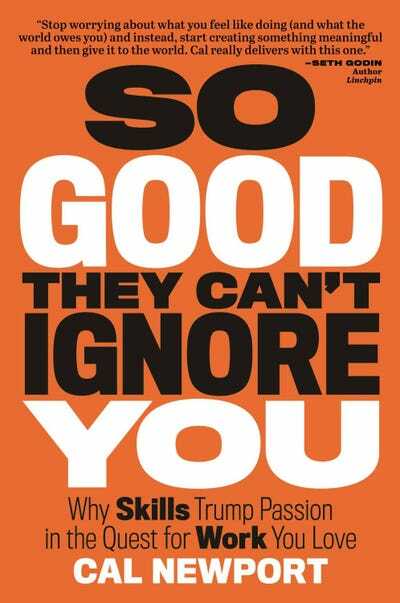 With tons of supporting psych research, Newport argues that successful careers are a result of appreciating the process of continual improvement. By now we've learned that relentlessly (and strategically) nurturing your skill set is key to a holistically awesome career. But what the experience of that growth? 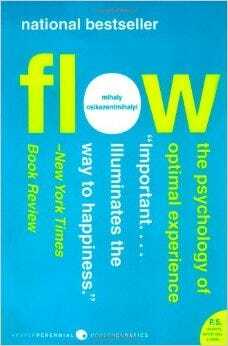 Over his decades of research, psychologist Mihaly Csikszentmihalyi found that it was a matter of an absorptive state called flow. For more on flow, head here. Being able to sustain a highly rewarding, highly demanding career over the long term isn't just a matter of a talent, but the way you relate to your work. 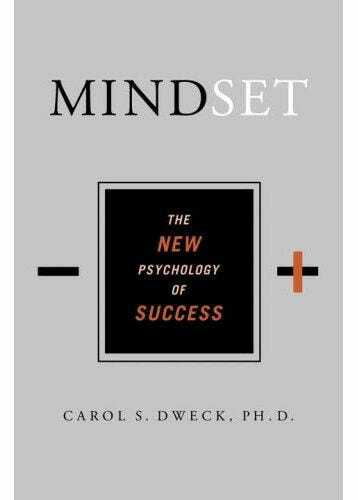 Developmental psychologist Carol Dweck has identified two mindsets that describe the way we think about how we work -- where results are based on ability or on effort. A 'fixed mindset' assumes that our character, intelligence, and creative ability are static givens which we can't change in any meaningful way, and success is the affirmation of that inherent intelligence, an assessment of how those givens measure up against an equally fixed standard; striving for success and avoiding failure at all costs become a way of maintaining the sense of being smart or skilled. A 'growth mindset,' on the other hand, thrives on challenge and sees failure not as evidence of un-intelligence but as a heartening springboard for growth and for stretching our existing abilities. As we've detailed before, the mindset you adopt has profound outcomes: from academic achievement to career advancement to marital stability. In 'How to Find Fulfilling Work,' philosopher Roman Krznaric contends that we shouldn't pursue jobs, careers, gigs, or grinds, but vocations. 'Rather than hoping to create a harmonious union between the pursuit of money and values, we might have better luck trying to combine values with talents,' he writes. It's a callback to Aristotle's maxim, Where the needs of the world and your talents cross, there lies your vocation. 'We have to realise that a vocation is not something we find, it's something we grow -- and grow into,' he continues. In this way, it's not the job you're 'meant to do,' and that's a good thing. 'A vocation is a career that not only gives you fulfillment -- meaning, flow, freedom -- but that also has a definitive goal or a clear purpose to strive for attached to it, which drives your life and motivates you to get up in the morning,' he writes. Now that we've found our vocations, it's time to run things.